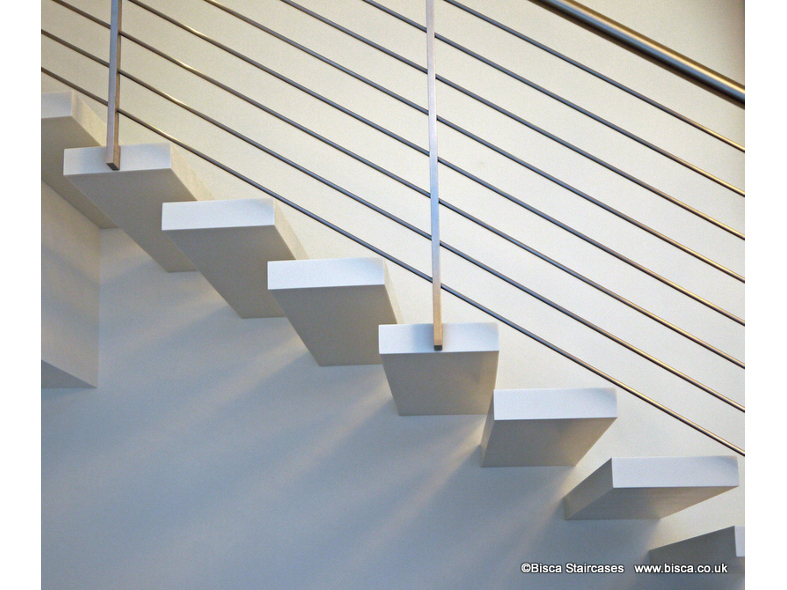 On the banks of the Hudson River in New York, this bespoke Corian staircase features Corian treads, horizontal wire balustrade and feature forged newels. The staircase is actually 3 flights. The two shorter directional flights at the head of the stair giving access to the first floor and landing galleries where artwork is on display. 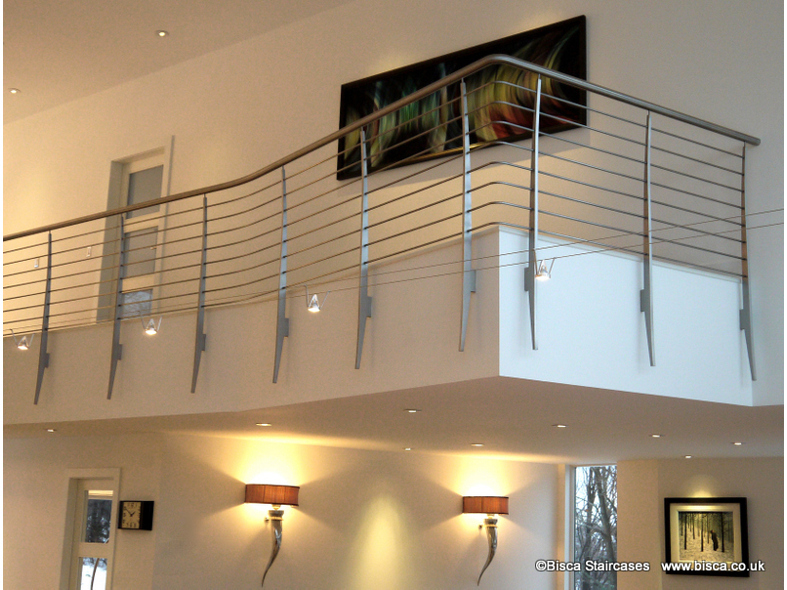 Landing gallery balustrading was also designed, supplied and installed by Bisca. 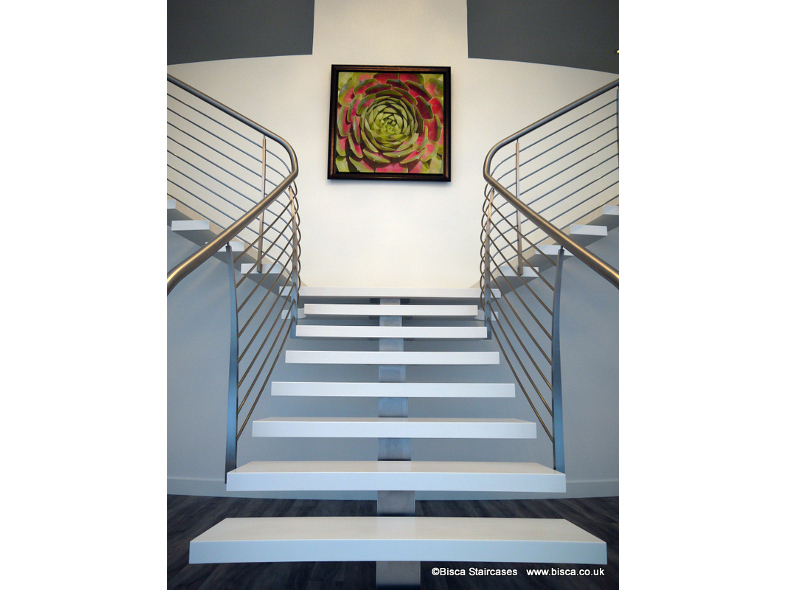 You can see a video of this staircase being made in our workshop in Helmsley by clicking on the Movie Channel tab or on our You Tube Channel. 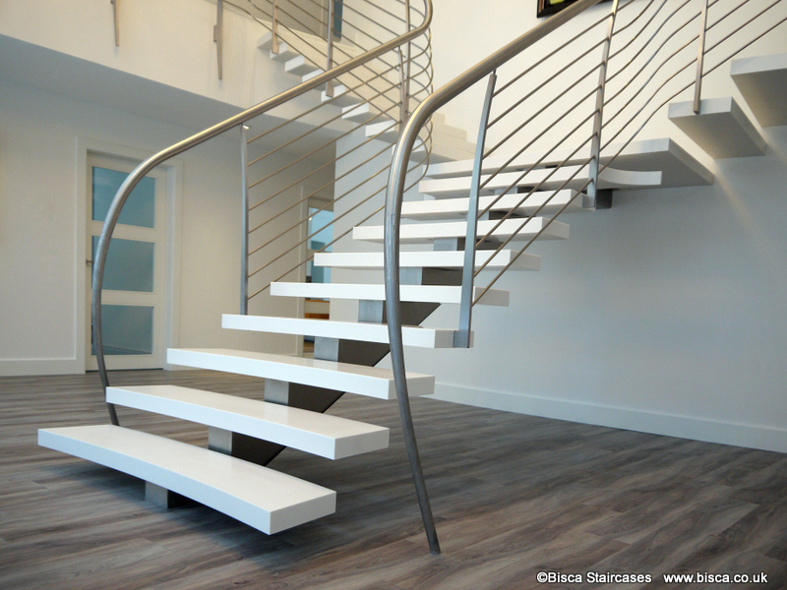 Bisca were the first staircase company to experiment using Corian as a tread material, and now have extensive experience on it's structural possibilities and characteristics in manufacture. 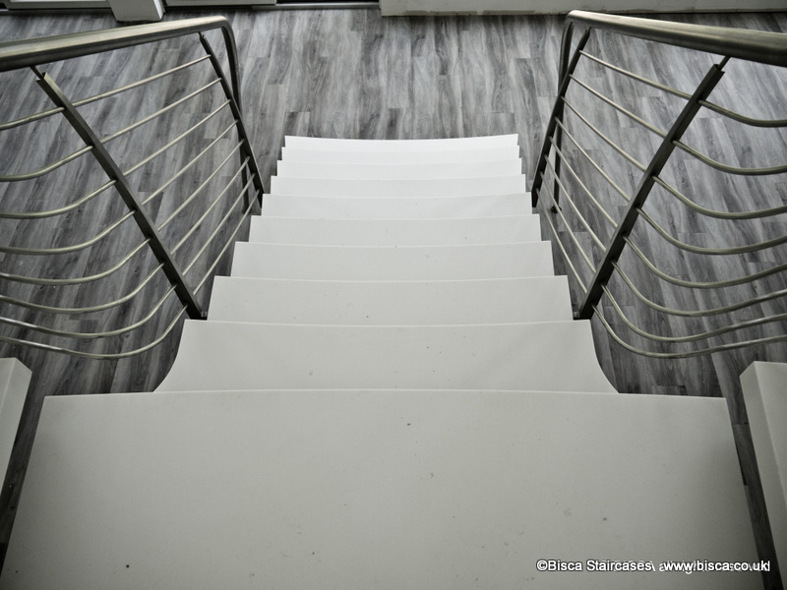 To get a guide price for a bespoke Corian staircase or a stair based on this design, or using Corian for treads or handrails, please contact us and either mention New York Staircase or reference 3147. If you would like to talk to us about a project, a concept design, or material to use with your clients, then please contact us.